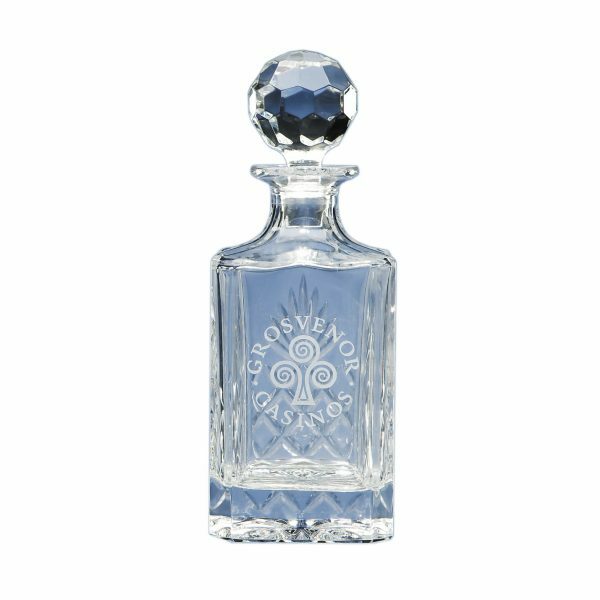 The elegant square spirit decanter is beautifully crafted out of 24% lead crystal and has a traditional diamond cut pattern hand cut and polished on 3 sides leaving 1 side plain for engraving. The elegant square spirit decanter is beautifully crafted out of 24% lead crystal and has a traditional diamond cut pattern hand cut and polished on 3 sides leaving 1 side plain for engraving. The price includes sandblast engraving and an individual blue gift box.